The First World War has become a byword for slaughter on an unimaginable scale. It changed the face of war forever. It was a war on an industrial scale where the railway and factory created a new mechanised form of killing. 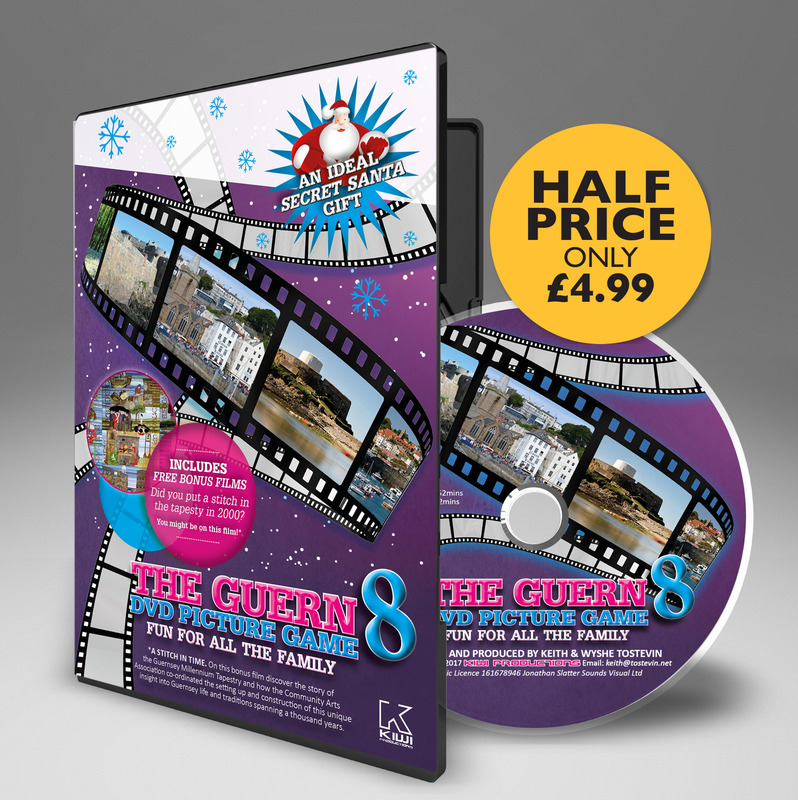 No country in Europe was immune from its effects and Guernsey was no exception. In this article we look at the main timeline of the Royal Guernsey Light Infantry, or R.G.L.I, which was Guernsey’s patriotic response to Britain’s call to arms. 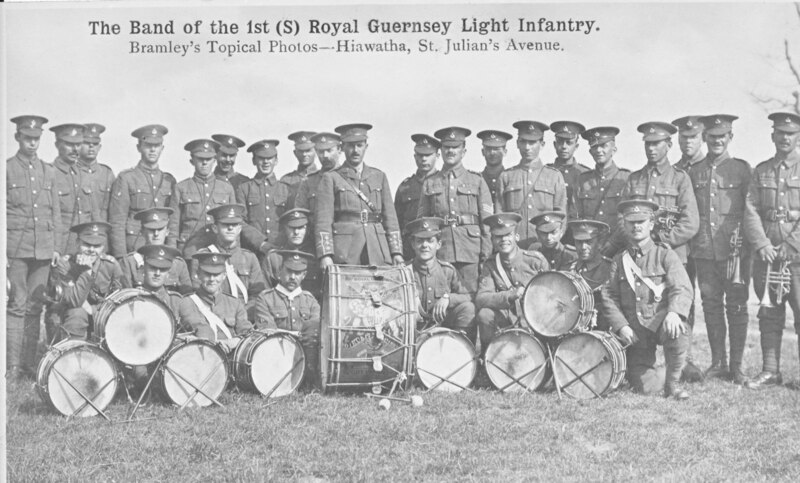 For a more detailed account of the RGLI you can refer to our article “The RGLI – Royal Guernsey Light Infantry”. Whilst the RGLI can be considered Guernsey’s ‘official’ response to the war it wasn’t the islands first. 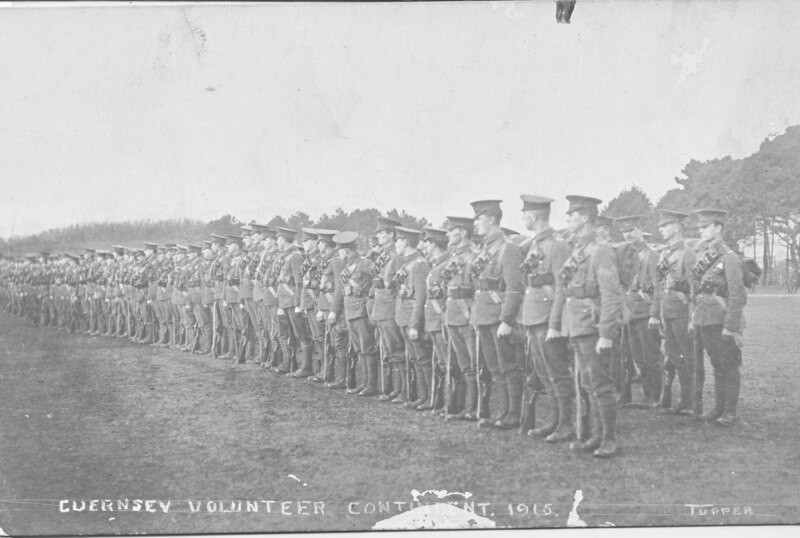 In October of 1914 the States of Guernsey agreed to offer the war office formed units of militia volunteers : A double company of infantry and a Divisional Ammunition Column. This was to prove extremely important when it came to the forming of the R.G.L.I. later on in the war, because most of these by then experienced and battle hardened men would be transferred back into the unblooded pals battalion that was the R.G.L.I. 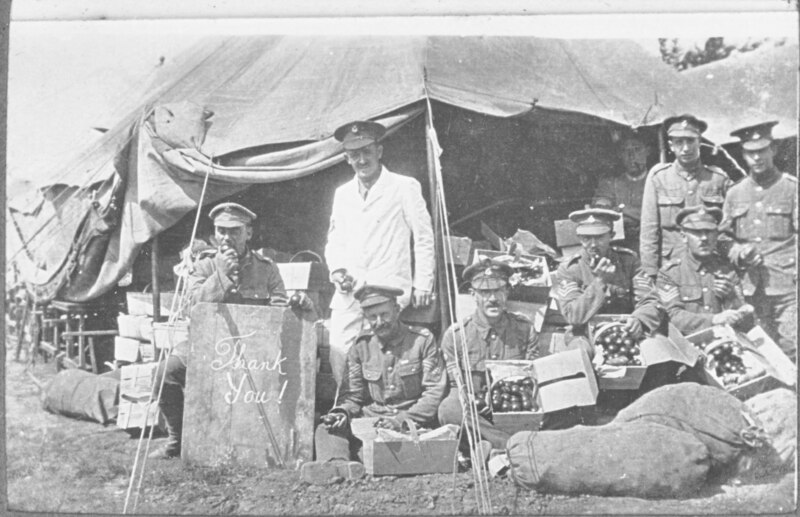 Note : Photographs have been reproduced with kind permission of the Priaulx Library , the Imperial War Museum along with some photographs from the Quevatre family. 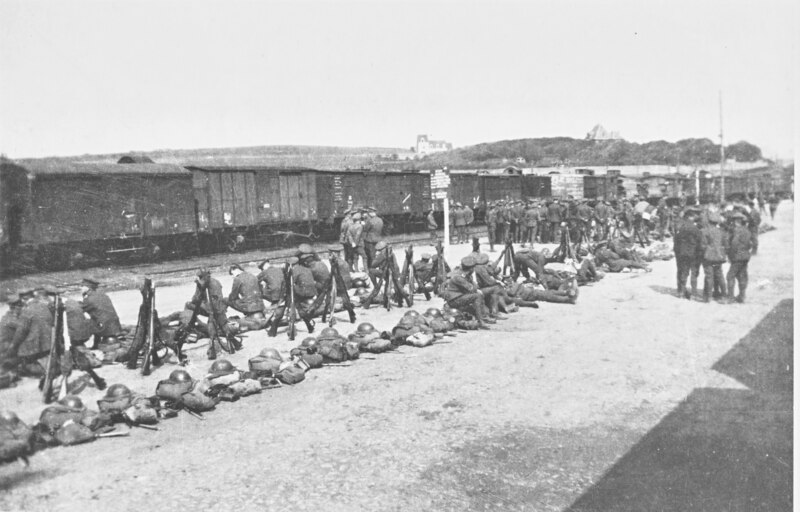 The Guernsey Militia is mobilised in anticipation of war with Germany so that the regular soldiers in the Guernsey garrison can be released for service. “Whereas by article 9 of the Ordinance relating to Royal Militia of the Island of Guernsey….it is provided that, in certain special circumstances, the States of the island of Guernsey shall furnish a contingent of militia consisting of 2,000 non-commissioned officers and men, to be embodied for such period of active service as shall be prescribed by Royal Proclamation or by General Order of the Lieutenant Governor, and whereas in my opinion such special circumstances have arisen; now therefore in pursuance of the said Ordinance I do hereby order that 1,000 non-commissioned officers and men, Effectives of the said contingent of Militia, be forthwith embodied from this date until further orders, and further that the remainder of the above said contingent, viz: 1,000 men of Section “A” of the Reserve, be prepared to join their respective Regiments when called upon..
(signed), H.M Lawson, Major-General, Lieutenant Governor and General Officer commanding the Troops in the Island of Guernsey and its Dependencies. The militia men go into camps on the island and continue their training. 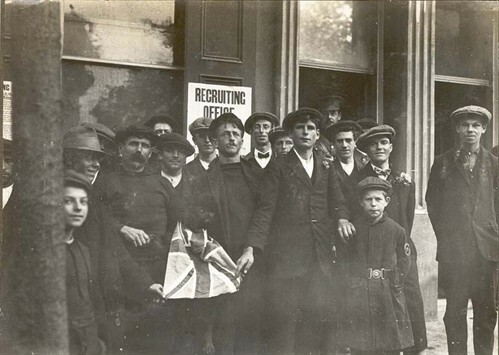 The States of Guernsey agree to offer the war office formed units of militia volunteers : A double company of infantry and a Divisional Ammunition Column. 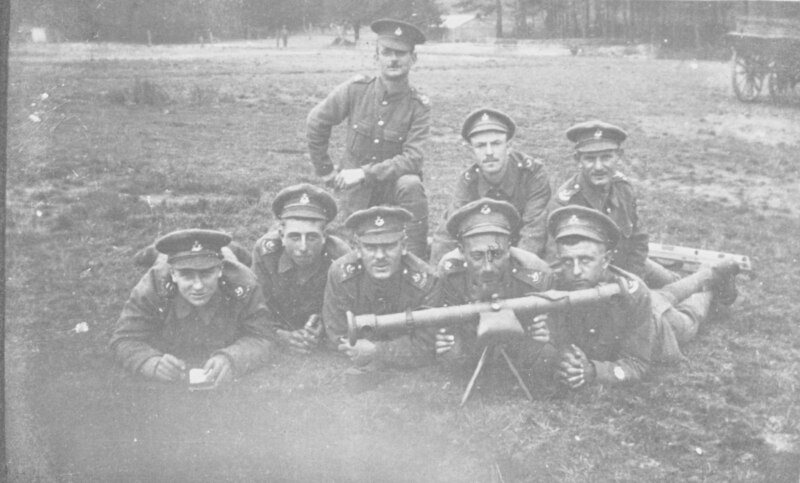 The infantry went to the 16th Irish Division (into the Royal Irish Regiment & the Royal Irish Fusiliers), whilst the Divisional Ammunition Column would go to the 9th Scottish Division. 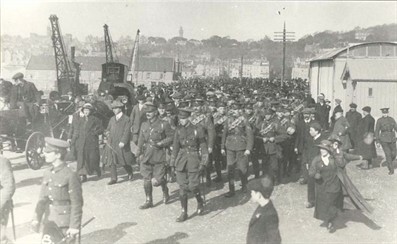 The first contingents leave on 4th March 1915. The States of Guernsey suspends the Militia and introduces the Conscription Act. Unlike the English act introduced earlier in the year no provision is made for conscientious objectors. 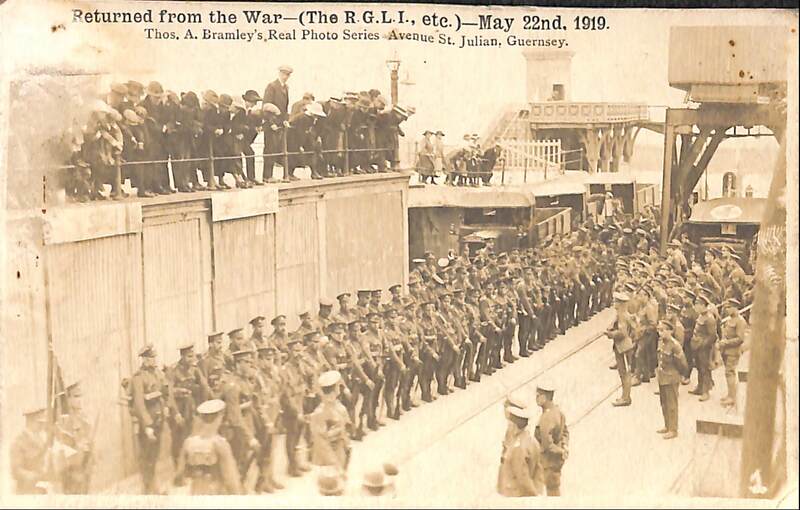 All the Guernsey Officers, previously offered to the British Army in 1915 in 6th Royal Irish Regiment and the 7th Royal Irish Fusiliers, with the exception of 1 company, are to be transferred to 1st Battalion R.G.L.I. The first Commanding Officer appointed to the Regiment is Colonel Henry de la Condamine. 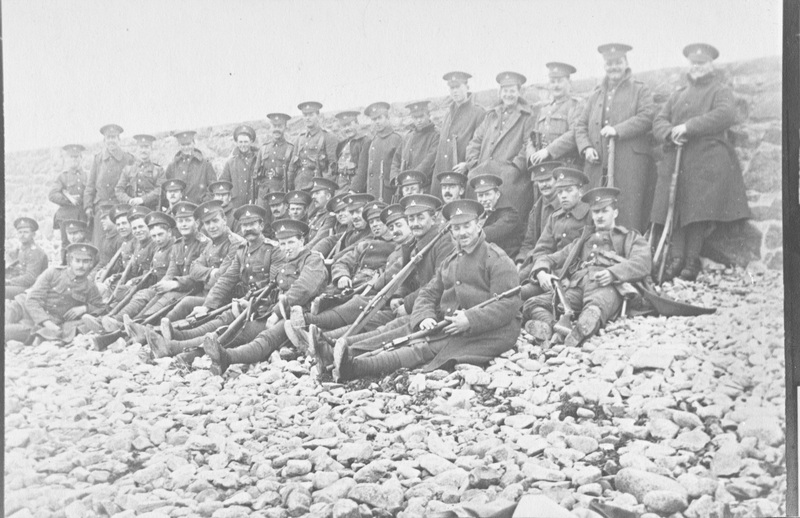 Basic training commences at Fort George, L’Ancresse and Beaucamps. 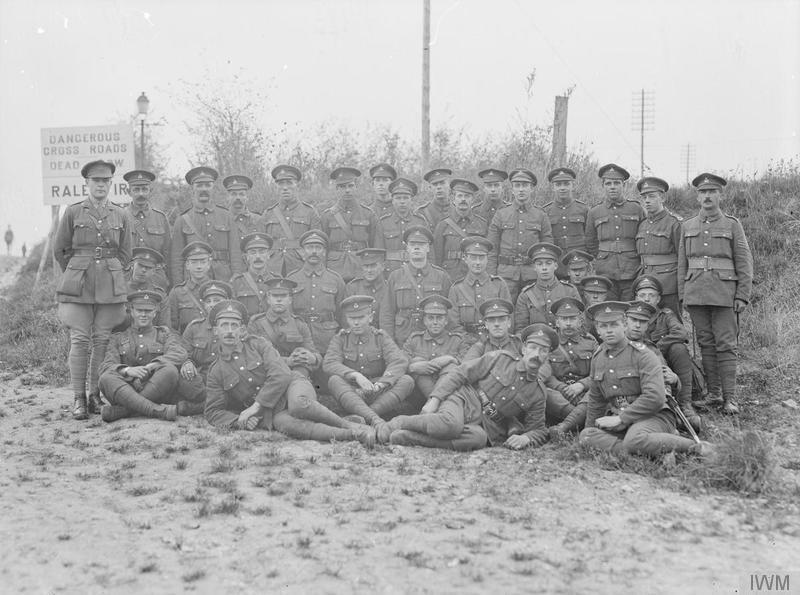 A 2nd (Reserve) Battalion is formed soon afterwards to receive and train new recruits for the 1st (Service) Battalion which will go on to serve in France on the Western Front. 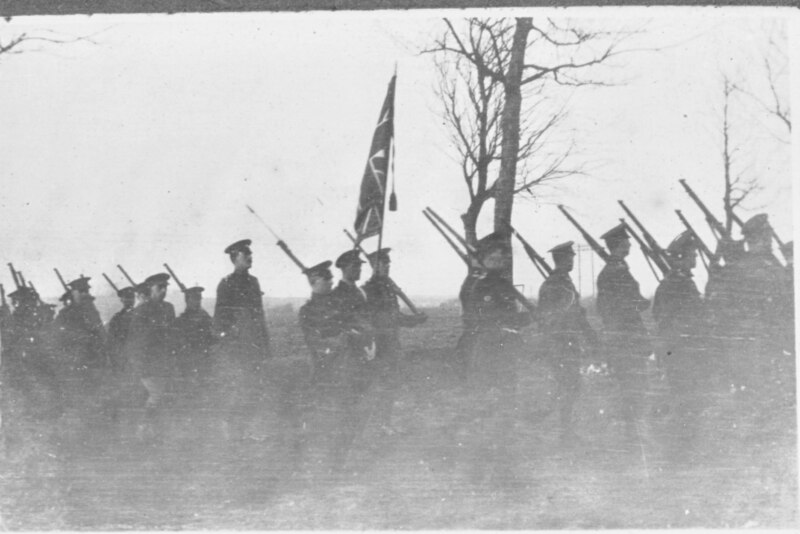 A Farewell Parade is held for the RGLI at L’Ancresse. “Great and enthusiastic crowds witness historic spectacle”, so reads the headline in the Star the following day. 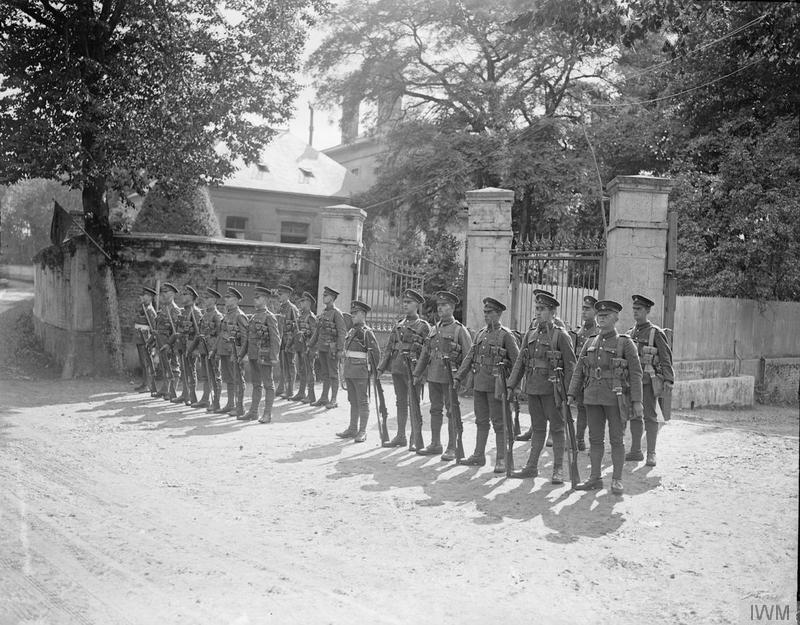 The men of the 1st (Service) Battalion of the Royal Guernsey Light Infantry, the 2nd(Reserve) Battalion, the 109th Company, Royal Guernsey Artillery and the 166th Field Company and Royal Engineers are assembled for inspection by the Lt.-Governor, General Sir Reginald C.Hart, who awards medals to those Guernsey volunteers who have already served with distinction in the 6th Royal Irish Regiment. He tempers his speech with a stern rebuke for those non-combatants serving with a quarrying company. 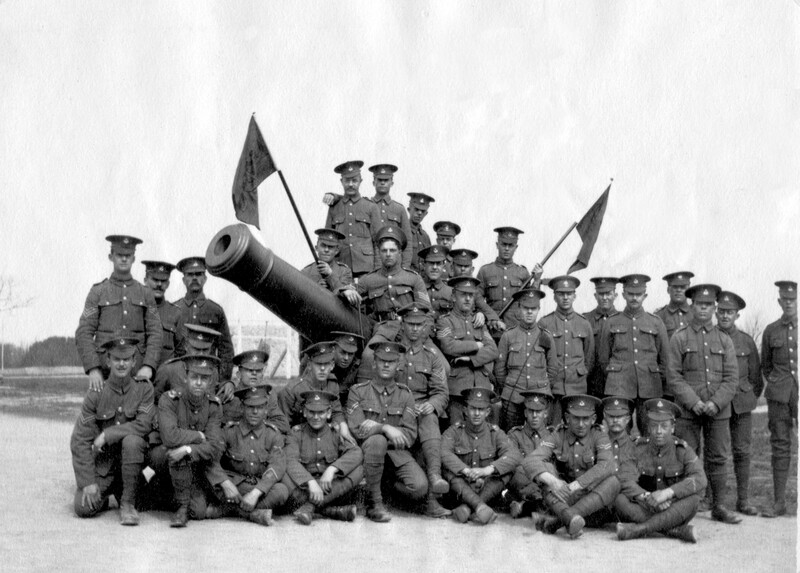 The 1st (Service) Battalion would not actually physically leave the island for another month, on 1st June. The colours of the RGLI are brought from Fort George by a colour party commanded by Lt Frank Martin and received at the Town Church by the Rev. J. Percy de Putron. Regimental Colours provide a focal point—symbols that embody the spriit and the traditions of the Regiment to which they belong. Because of their importance, they are traditionally blessed and placed in a church for safekeeping. 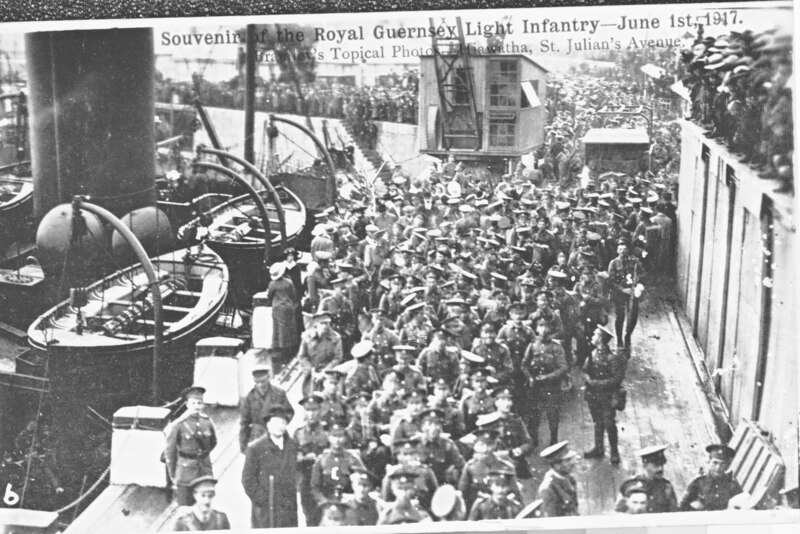 The 1st (Service) Battalion of the RGLI leaves Guernsey for Bourne Park Camp near Canterbury. 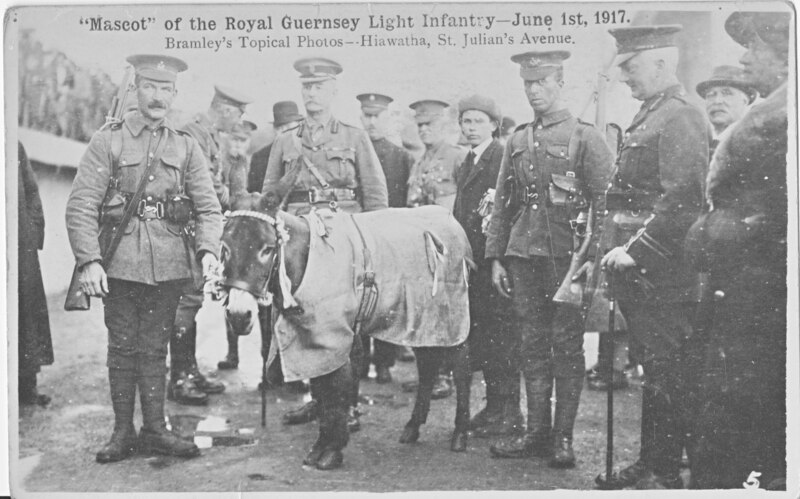 Joey, the Guernsey Donkey, is presented to the Regiment by Colonel H. St. Leger-Wood at the Regiment’s last parade at Fort Field prior to departure. 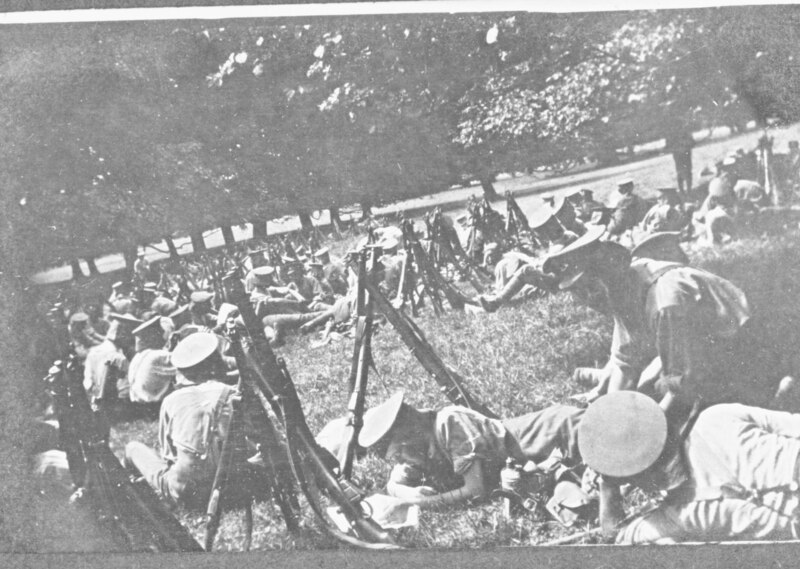 In preparation for service on the Western Front the RGLI undergoes nearly 4 months of advanced infantry training at Bourne Park. 44 Officers + 964 other ranks entrain for Southamption and service overseas. Feelings are clearly running high as before leaving camp the Guernseys ‘sack’ the camp canteen causing over a £100 (£8,000 today) worth of damage. 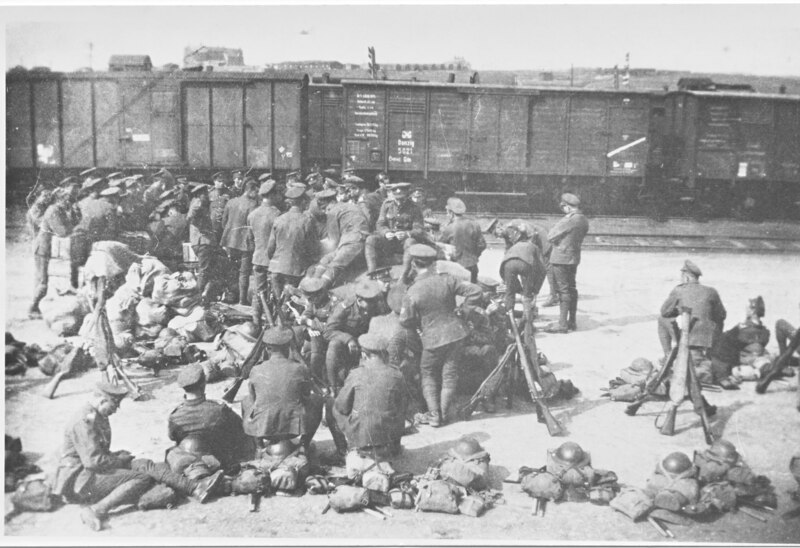 The Batallion arrives the following day at Le Havre where they entrain for the journey to the front. 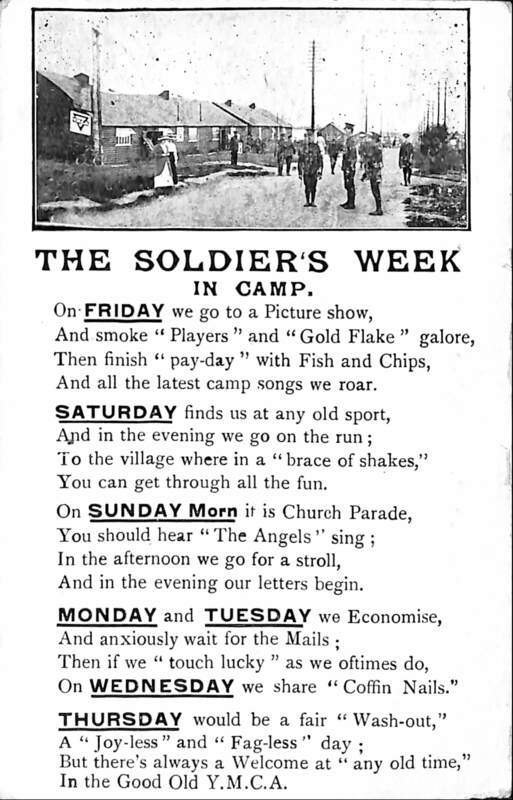 The Battalion arrives at Stoke Camp, Proven in the Ypres sector at 3 a.m. in the morning. 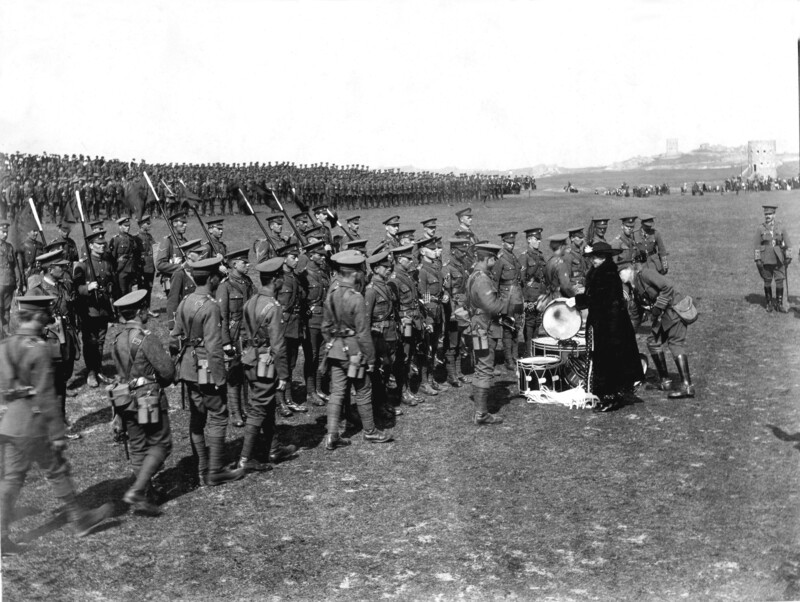 The Battalion joins 86 Brigade in 29th Division which is commanded by Guernseyman Major General Sir Beauvoir de Lisle. The 29th Division is still in the line when the Guernseys arrive and they are immediately put to work: A+D Companies are attached to 1/2 Monmouths – a pioneer battalion – and work on roads in the Langemarcke area. 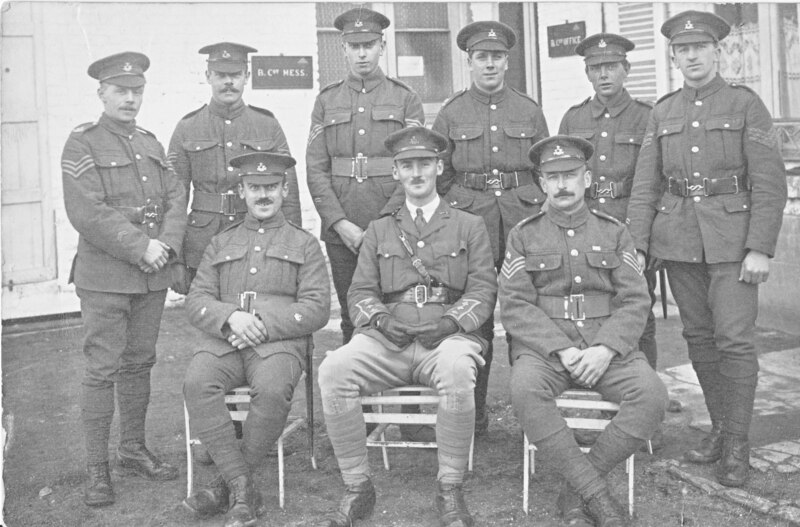 Meanwhile 50 other ranks from C Company act as stretcher bearers in the forward battle area during 4th→ 9th October. By the time their new Divsion is pulled out of the line, on 11th October, it will have suffered 4,700 battle casualties in what was to be called ‘The Battle of 3rd Ypres’. The RGLI sustains its first battle casualties. 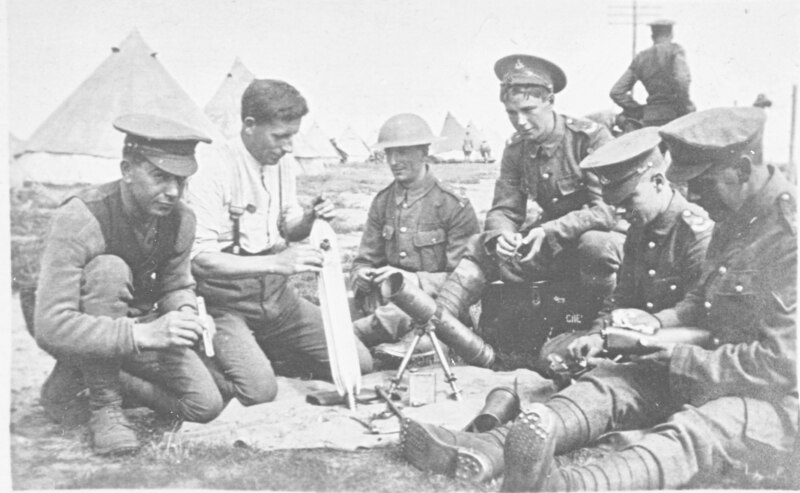 Second in command Major Archibald Davey and 4 men from A Company are killed whilst mending roads in Langemarcke. Following their arrival in the Ypres area the RGLI and the 20th Division commence training for the forthcoming Cambrai offensive. The original idea behind the Battle of Cambrai was a kind of large scale tank raid on the German rear areas with the aim of destroying enemy personnel, guns and supplies as well as sapping their morale. The tank was still in its infancy and nobody was quite sure how best to use it or what effect it would have on the enemy. In the end the plan was expanded into a major operation with the objective of pushing the Germans back a considerable distance. 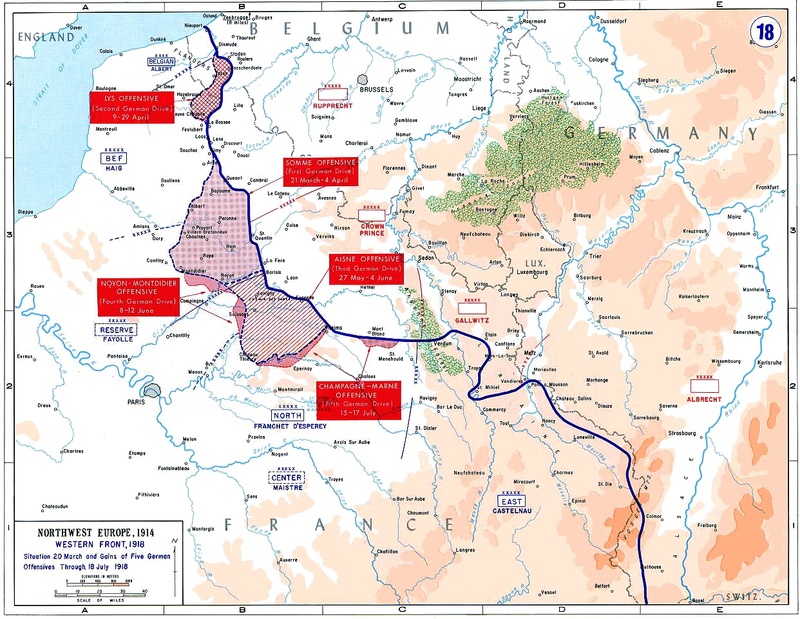 3rd Wave : 5 Divisions of cavalry to then break through into untouched country + on to Cambrai. The attack was launched at 6.20am on the 20th November. 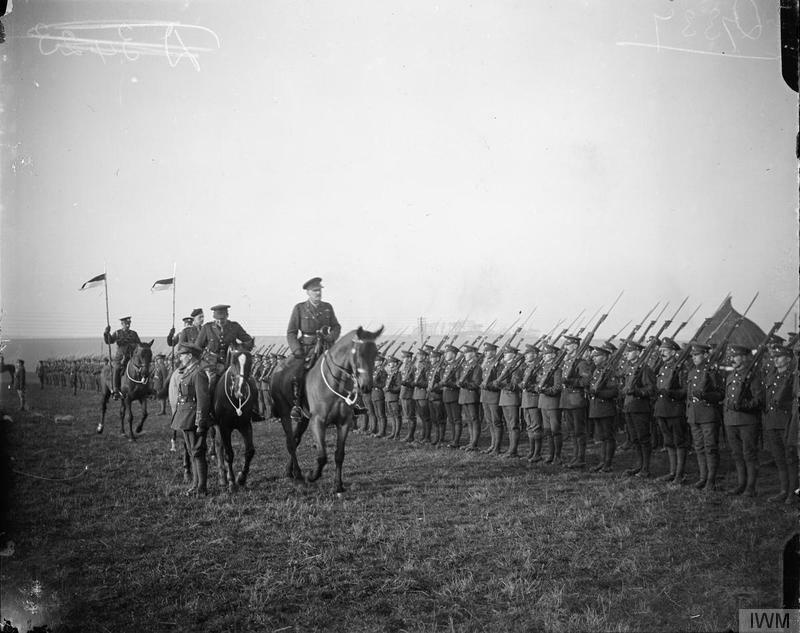 The British Divisions in the front line were, from right to left, the 12th (Eastern), 20th (Light), 6th, 51st (Highland), 62nd (West Riding) and 36th (Ulster). 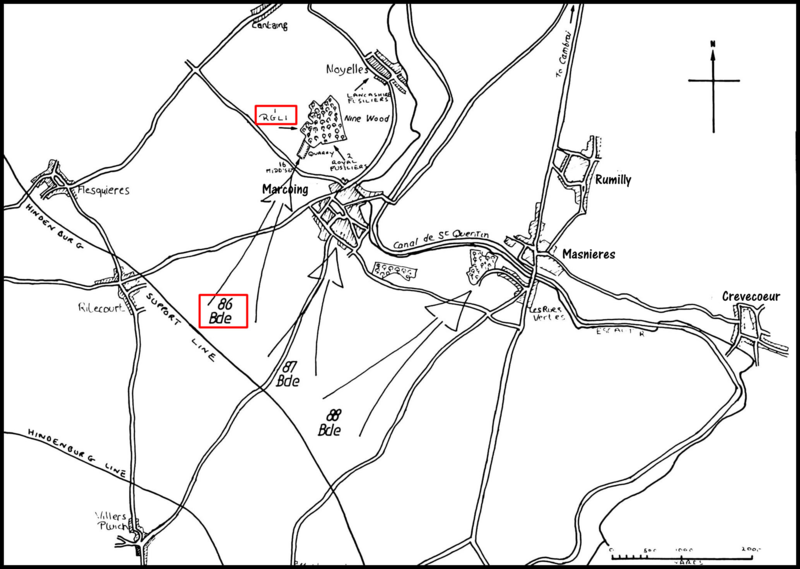 In immediate support was the 29th (The RGLI’s division), and ready to exploit the anticipated breakthrough and sweep round Cambrai were the 1st, 2nd and 5th Cavalry Divisions. The Tank Corps deployed its entire strength of 476 machines, of which more than 350 were armed fighting tanks. The initial assault captured the front line trenches and penetrates several miles into the German lines. The 29th Division, in support, moves on to their targets where, as a part of 86 Brigade, the RGLI are tasked with capture of Bois des Neufs (9 wood). The attack is a huge success and the Regiment takes the wood with 1 Officer + 2 ranks killed, 2 officers + 23 ranks wounded and 3 ranks reported missing. At 7.30am on the 30th November, the German counter attack began and was devastatingly fast and effective. The RGLI are in reserve in catacombs of Masnieres but are ordered to hold the village of la Rue Verte. The fighting is fierce and the village is held but they retake the village twice with vicious hand to hand fighting. The Germans advance as far as Marcoing but RGLI tenaciously holds on and 88 Brigade (the Divisonal reserve) counter-attacks and pushes them back. The Germans continue to attack again and again (7 times) in the next 2 days. The RGLI’s stand and 88 Brigade’s push leaves a 1000 yrd Salient into German lines – this is abandoned on 1st December to straighten the British line and reduce casualties from enfilading fire around the salient. The casualties from Cambrai are such that the RGLI is threatened with disbandment. 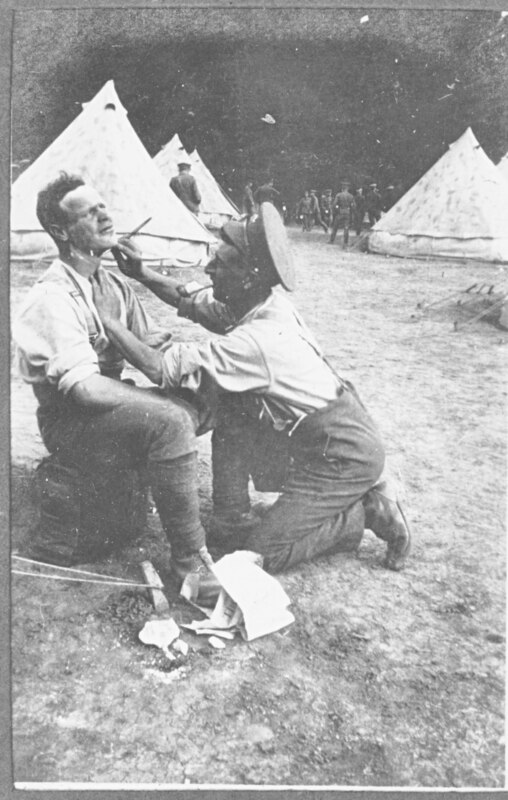 However the Govenor, Sir Reginald Hart, successfully pleads for the unit to stay intact and manages to procure 200 men from 3rd Batalion North Staffordshire Regiment in Guernsey along with 28 men from training battalions and more from Durham light infantry, who are recovering from wounds mostly. 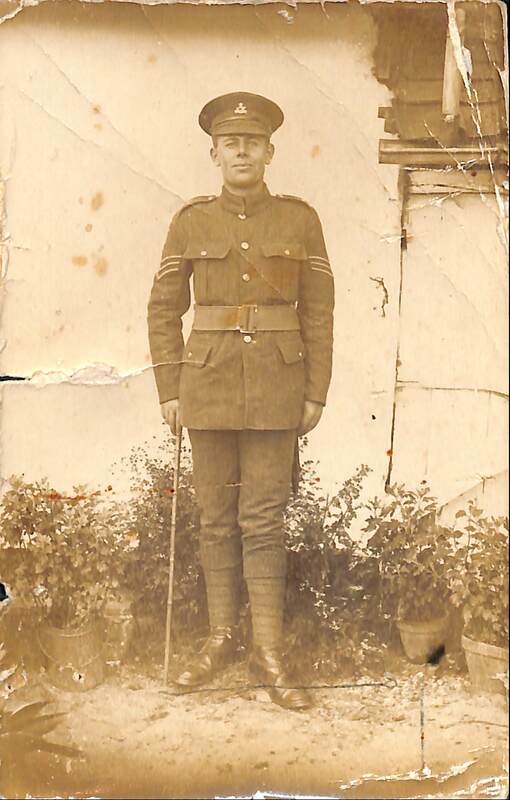 He also manages to get men from the Worcestershire Regiment + even from the Jersey Militia. The Regiment as a fighting unit is saved. 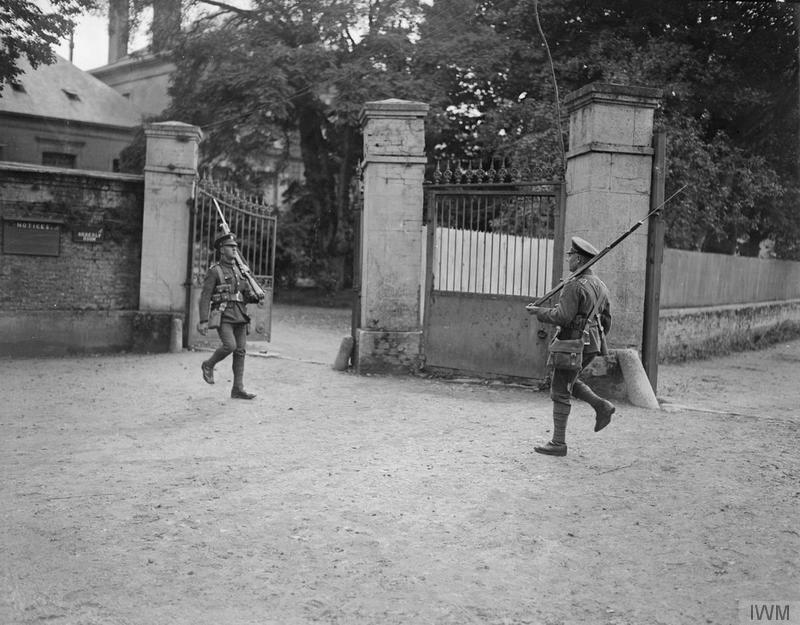 Whilst the Govenor, Sir Reginald Hart, is endeavouring to save the RGLI from disbandment the battered and bloody remnants of the 1st Battalion are ordered to leave the 29th Division and report to Ecuires where they take over as guard troops on Field Marshal Douglas Haig’s headquarters at Montreuil. 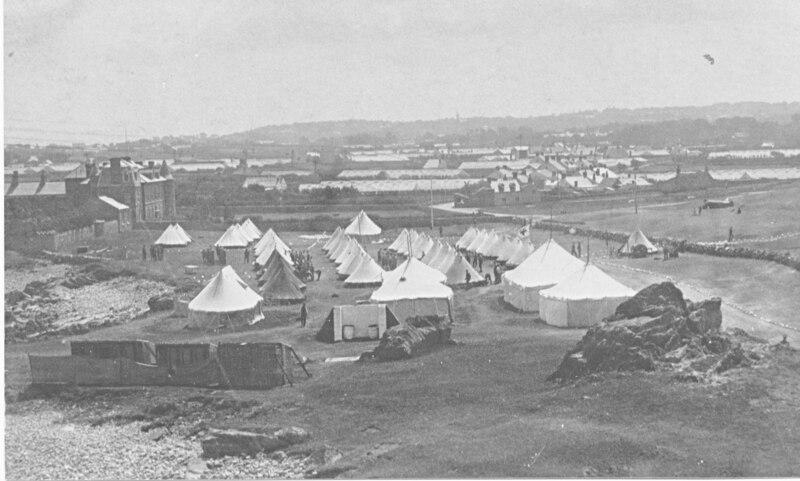 Whilst in Montreuil they tend to their wounds and start to receive a number of drafts of new soldiers from the depot in Guernsey. 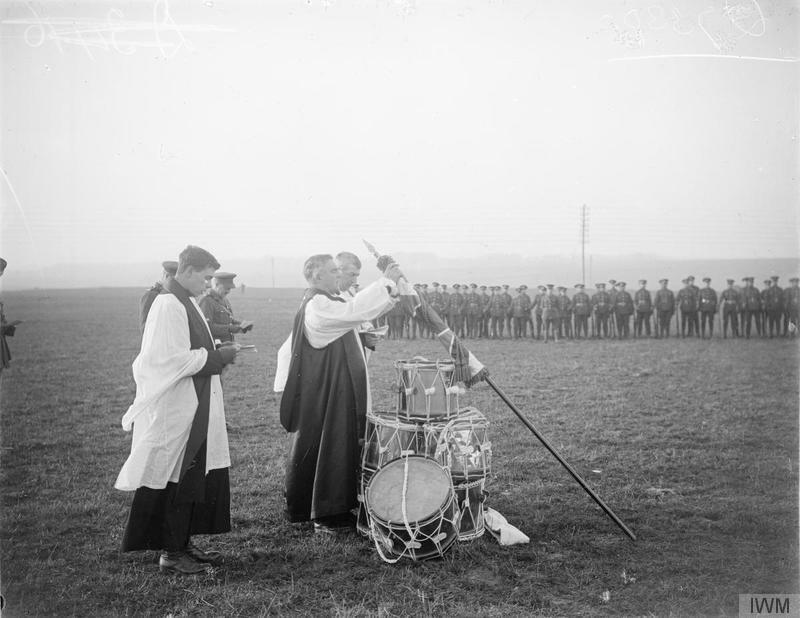 Reinforced and ‘rested’ the Battalion is back in the line at Ypres in Passchendaele, relieving the 2nd Battalion Royal Berkshire Regiment and the 1st Royal Irish Rifles (amongst whom are some Guernseymen still serving with the Irish). During this 1st period in the line the RGLI repel a major attack with 7 killed & 25 wounded. The RGLI will remain in the Passchendaele area taking turns in and out of line until April 1918. More 'Irish Guernseymen' Rejoin the Regiment. 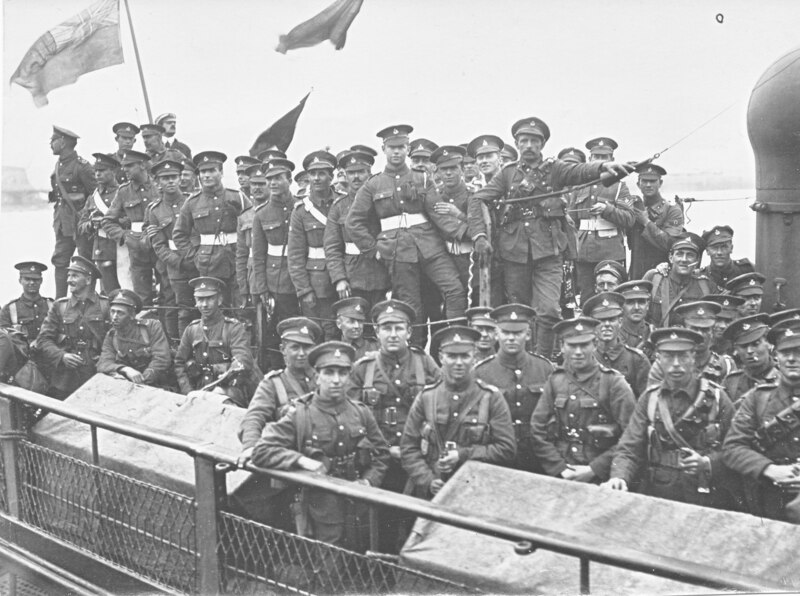 65 Guernseymen from the Royal Irish Regiment & the 7th Royal Irish Fusiliers join their fellow islanders in the battalion when these two battalions are disbanded. On the eve of the last great German offensive of the war a German trench raid is repelled by the Guernseys, but leaves 26 dead, 45 wounded & 6 gassed with 2 missing – taken as prisoners. With the Russians out of the war and the Americans arriving in ever increasing numbers on the Western Front, the Germans launch their last desperate bid to break through and win the war with ‘Operation Michael‘. The German strategy for the 1918 Spring Offensive or Kaiserschlacht (Kaiser’s Battle), involved four offensives, Michael, Georgette, Gneisenau and Blücher–Yorck. Michael took place on the Somme followed by Georgette on the Lys and at Ypres. Blücher took place against the French in the Champagne region. Although British intelligence knew that a German offensive was being prepared, this far-reaching plan was much more ambitious than Allied commanders expected. 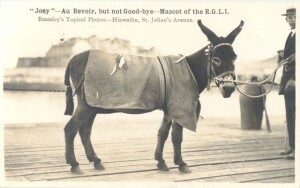 In due course the RGLI will be sucked into the maelstrom that is Georgette. The 29th Division, of which RGLI is a part, is pulled out of the line and hurried south by lorry to Lys – an area South of Bailleul. The Lys offensive, codenamed Georgette by the Germans, was part of the second smaller phase of their “final push”. The Germans have broken through the line & are advancing on the vital railhead at Hazebrouck. The 29th, 86th & 88th Brigades are deployed to meet them. 6:00 am The RGLI arrive at billets outside the village of Neuf a Berquin & await orders. 5:30 pm The RGLI is ordered to Doulieu. With the German offensive making huge gains on the Somme and significant advances south of Ypres the situation is desperate, prompting the Commander-in-Chief, Sir Douglas Haig, to issue his famous ‘Special Order of the Day’ commonly referred to as his ‘Backs to the Wall‘ communiqué. There is no other course open to us but to fight it out. Every position must be held to the last man: there must be no retirement. With our backs to the wall and believing in the justice of our cause each one of us must fight on to the end. The safety of our homes and the Freedom of mankind alike depend upon the conduct of each one of us at this critical moment. 2:00 pm The RGLI engage the advancing Germans. B & C Companies are virtually wiped out; A & D companies along with Battalion HQ fight on to hold the line. 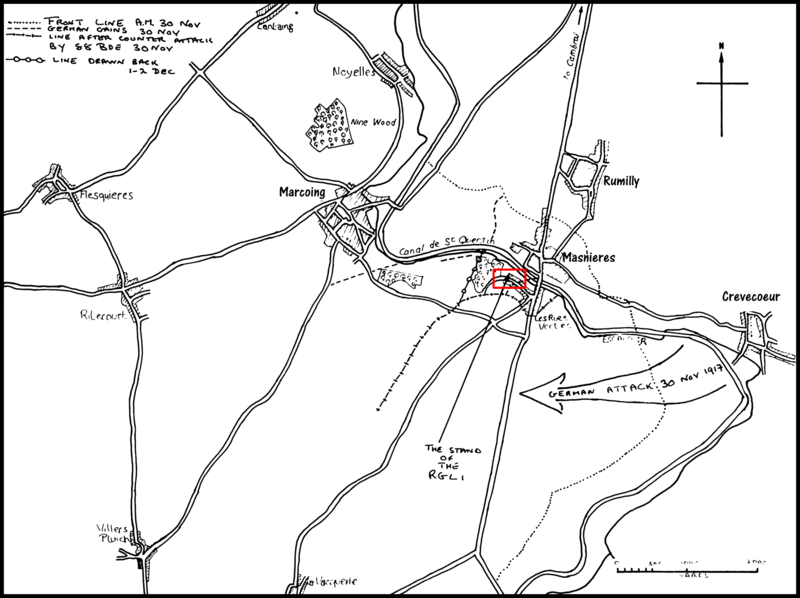 3:00 pm The Batallion is forced to withdraw to a position just east of Doulieu. Doulieu is subsequently by-passed by the Germans. 02:00 am The RGLI are ordered to withdraw further West & dig into a South facing position. 12:00 am The Guernsey’s are outflanked & withdraw another 1,000 yards to dig in again. By the end of the day, after heavy fighting and heavy casualties, the Battalion has effectively been by pushed aside by the advancing Germans. 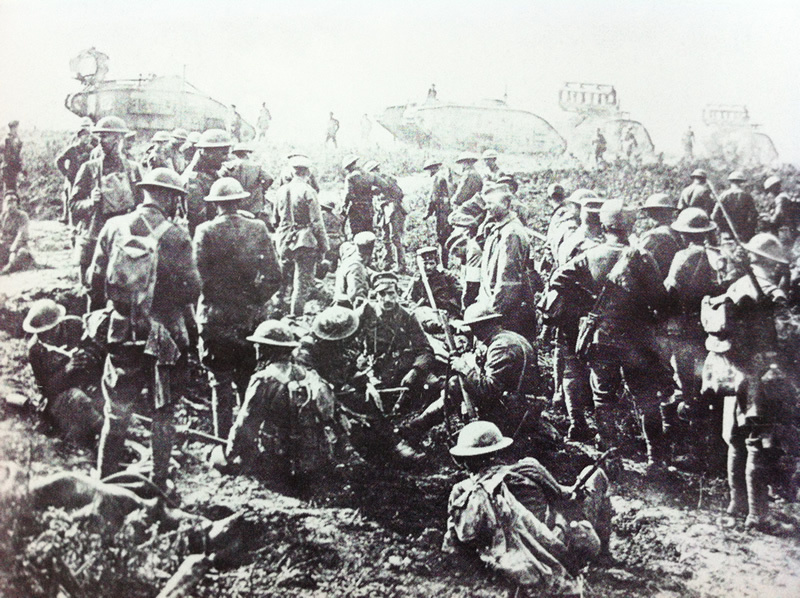 The RGLI is relieved from the line by Australian troops. 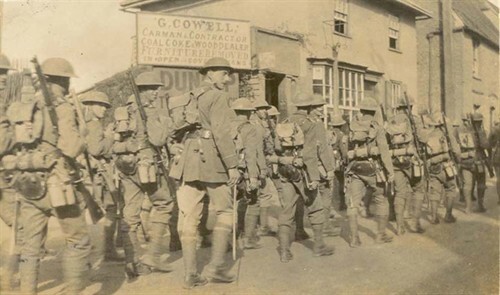 After 3 days of heavy fighting, and of the 20 officers & 483 men who had originally marched into Doulieu, Colonel de Havilland brings out just 3 officers & 55 other ranks. A further 47 have become detached & have joined up with other units, they will rejoin later on. Many of the wounded have been abandoned during the retreat with many small groups of officers & men being cut off & forced to surrender. The survivors are immediateley put to work with other survivors of the 1st Lancashire Fusiliers digging tracks for the relieving Australians in case they are forced to retreat further. However, at heavy cost to the British Army, the Germans had finally been stopped. 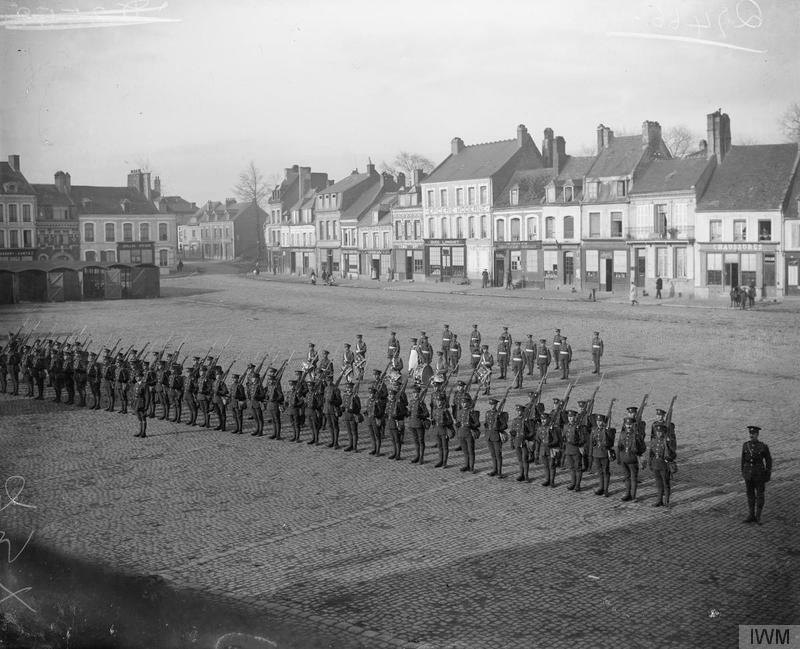 The much depleted RGLI are posted to Ecuires to act as guard troops at Haigs HQ in Montreuil. Whilst at Ecuires they will retrain & receive recruits from the 2nd (Reserve) Battalion in Guernsey. 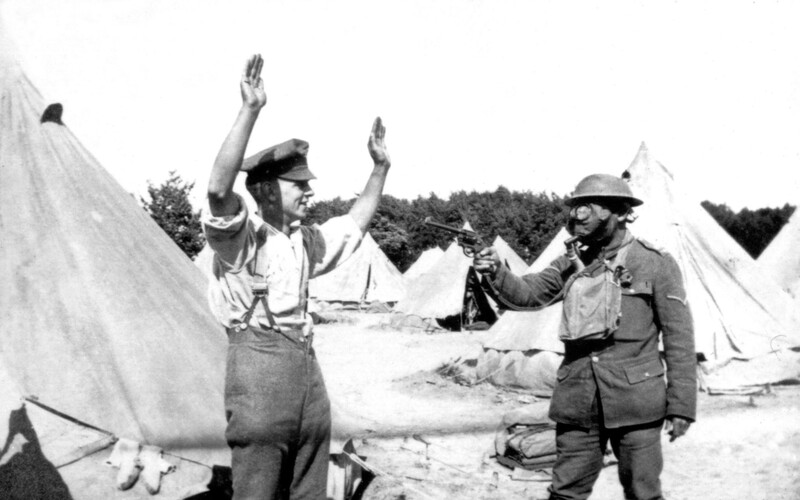 In dispatches, Commander in Chief Sir Douglas Haig picks out the “Gallant Service” of the RGLI in the fighting near Doulieu. This was read out to the States. Meanwhile, a situation which threatened to become serious had arisen north of Merville. At about 8 a.m. the enemy attacked in great strength on a front extending from south of the Estaires-Vieux Berquin Road to the neighbourhood of Steenwerck. 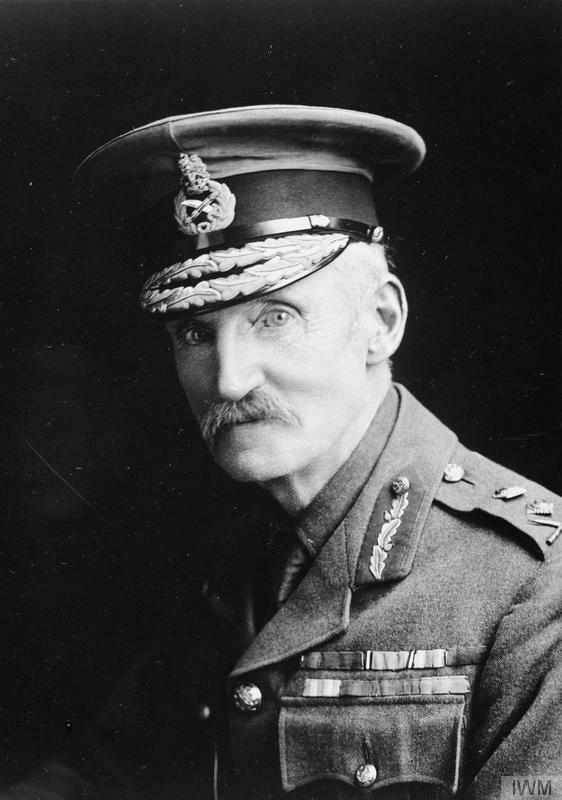 After very heavy fighting, in the course of which, the 1st Battalion Royal Guernsey Light Infantry, 29th Division, Major-General D. E. Cayley, C.M.G., commanding the division, did gallant service, he succeeded in the afternoon in overcoming the resistance of our troops about Doulieu and La Becque, forcing them- back in a north-westerly direction. As the result of this movement, a gap was formed in our line .south-west of Bailleul, and bodies of the- enemy who had forced their way through seized Outtersteene and Merris. 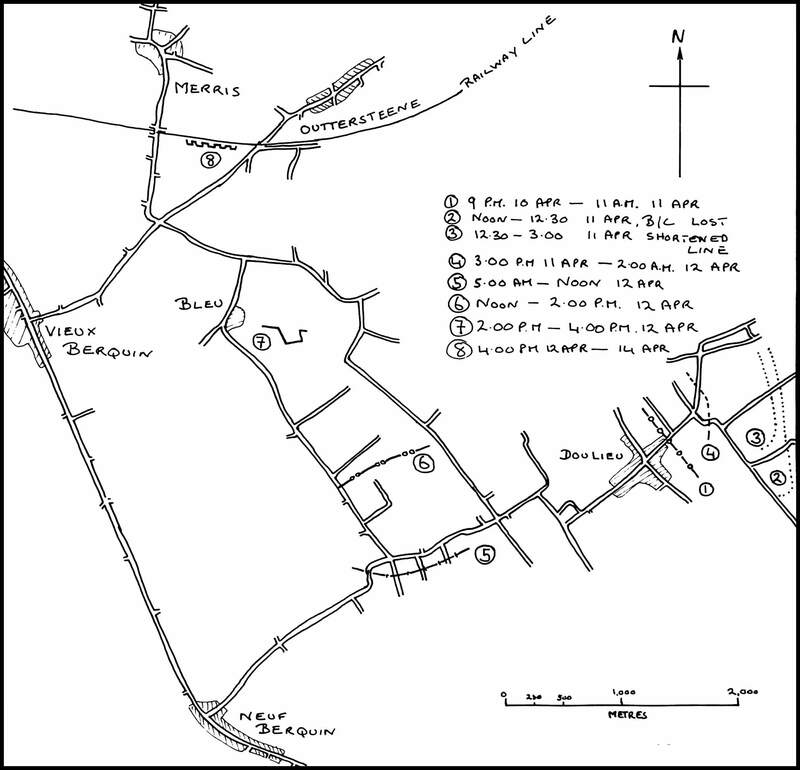 In the evening a brigade of the 33rd Division, Major-General R. J. Pinney, C.B., commanding the division, with a body of Cyclists, a Pioneer battalion, and every available man from schools and reinforcement camps, came into action in this sector. 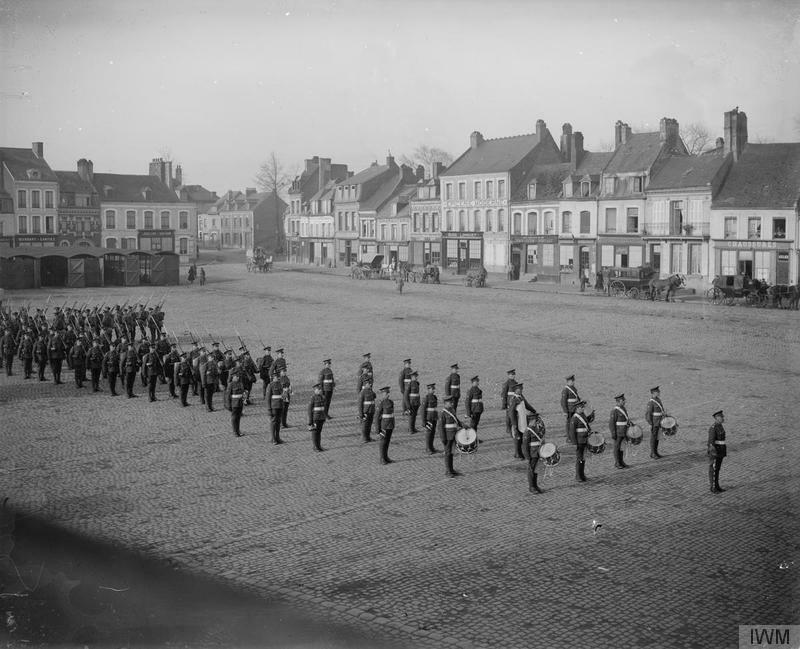 On their left, troops of the 25th, 34th, and 49th Divisions, Major-General N. J. G. Cameron, C.B., C.M.G., commanding the last mentioned division, though heavily attacked, maintained their positions to the south and south-east of Bailleul, and before midnight our line had been reformed. 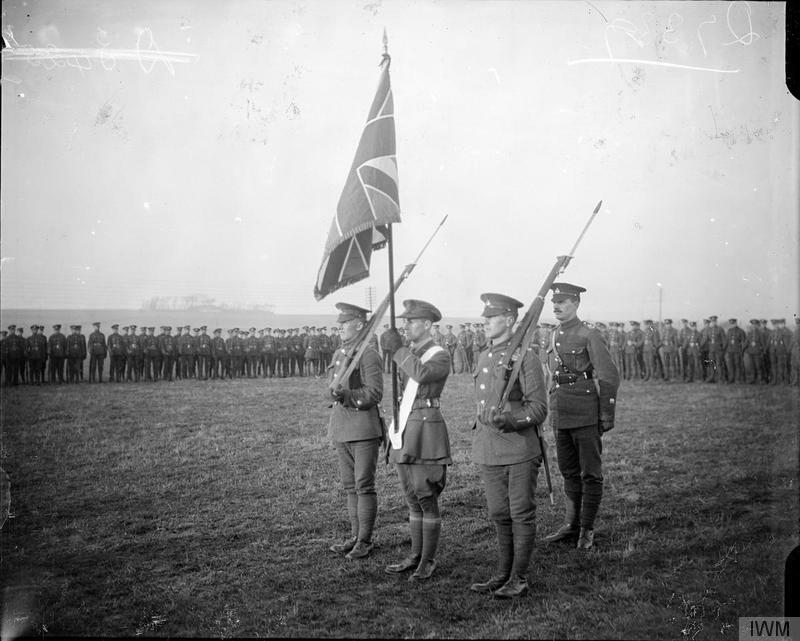 An RGLI platoon under Lieutenant Ingrouille guard His Majesty King George V at Tramecourt where he is staying on a visit to British Army Headquarters. After retreating in the face of the German’s attacks in March, the 100 Days Offensive – the final period of the War – commences. 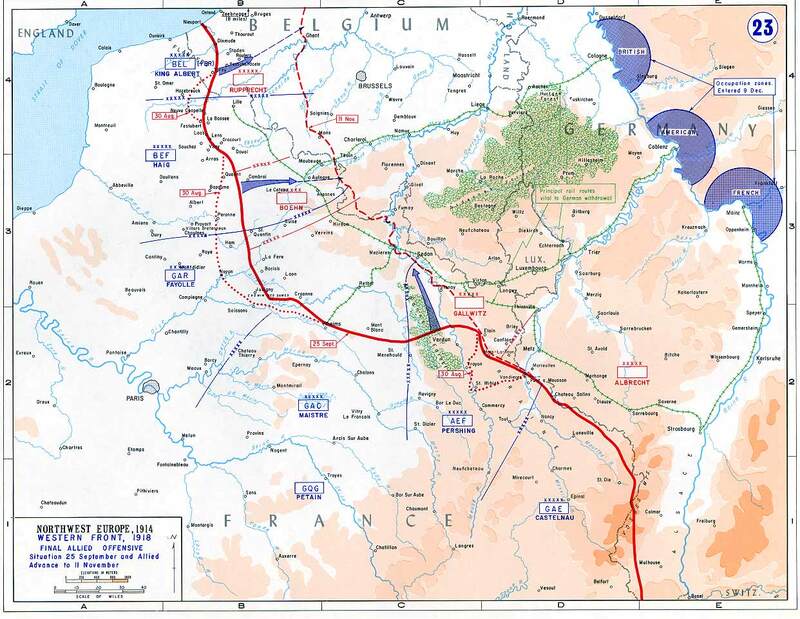 During this time the Allies launch a series of offensives on the Western Front from 8 August to 11 November 1918. It begins with the Battle of Amiens and breaks the deadlock of trench warfare. From this point on the fighting will range across open French countryside and will essentially push the Germans out of France. An Armistice is signed between the Allies and the Germans. The RGLI is under orders to go back into the line at the time. 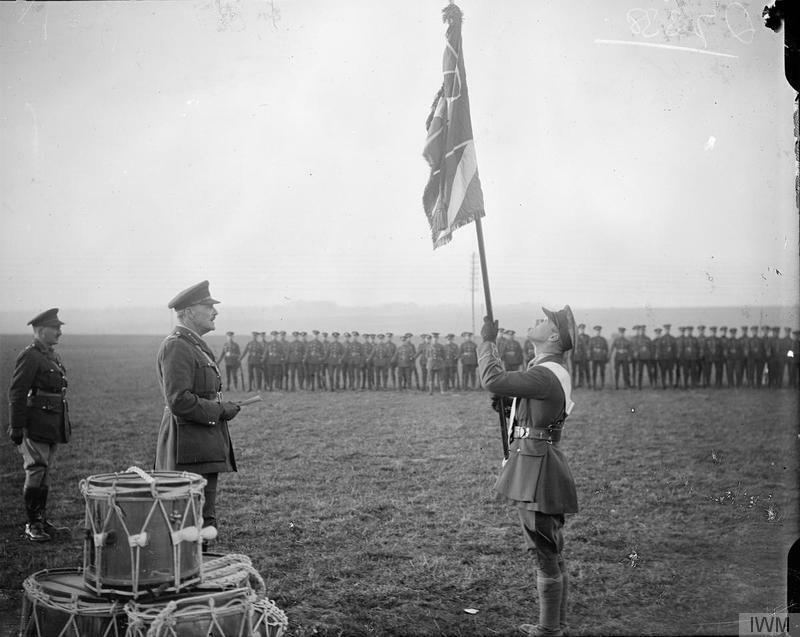 A consecrated flag is presented to the batallion by Lieutenant General Sir Hubert Lawrence – chief of General staff. The SS Lydia enters St. Peter Port. She carries with her the survivors of the RGLI returning home from the Great War*. The final cost is huge on such a small community. *About 200 officers & men who were attached to other units remain in France They are mainly men who had joined after Doulieu. 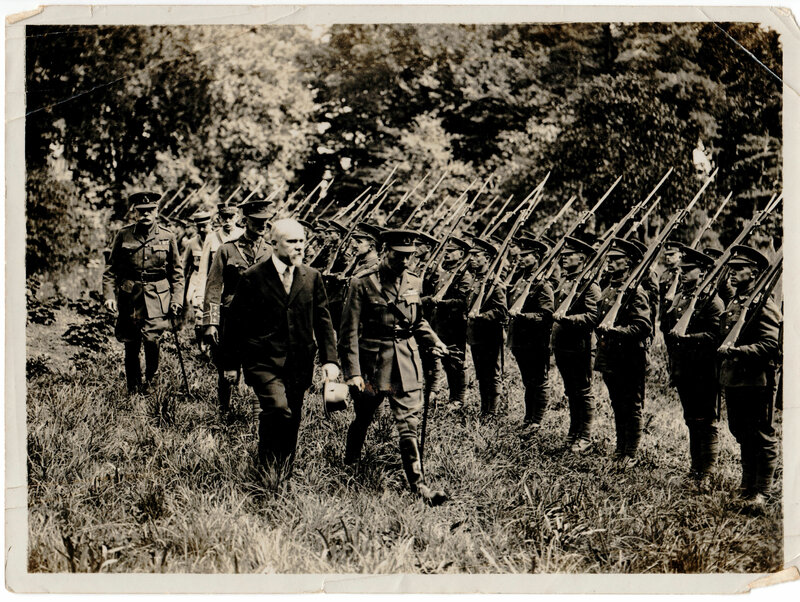 A week after the return of the RGLI, Thursday May 29th 1919, the Lieutenant-Governor, Lt. General Lancelot E. Kiggell declares a public holiday. 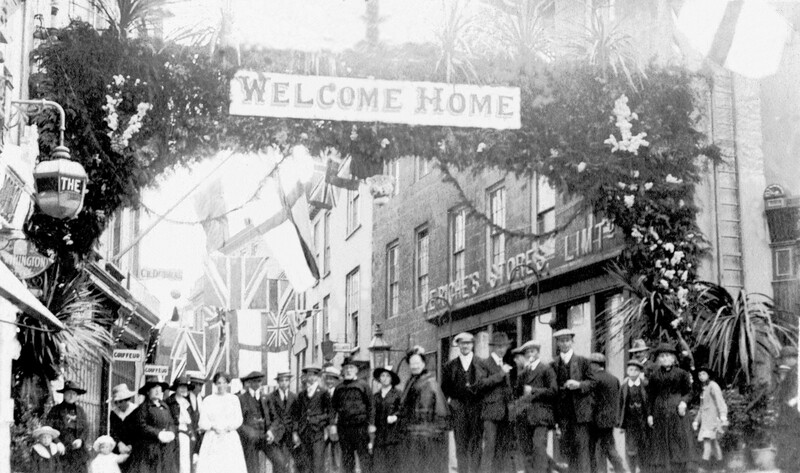 In High Street, a ceremonial “Welcome Home” arch is erected. 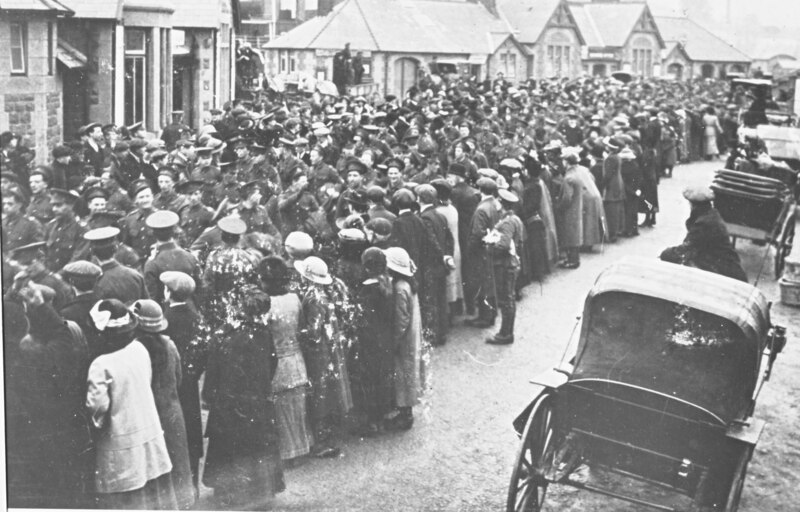 The crowds eagerly await the arrival of troops, who once assembled at Cambridge Park, parade through the flag be-decked streets of St Peter Port to the Fort Field at Belvedere. Although the Royal Guernsey Light Infantry are of course well represented, service men from the Royal Navy, the Royal Artillery, the Royal Engineers and Irish Regiments also participate in the Victory March. Peace is officially proclaimed in Guernsey. The treaty of Versaille had been signed on June 28th, 1919, followed by King George Vs proclamation on July 1st 1919. Peace was officially proclaimed in Guernsey on July 8th. 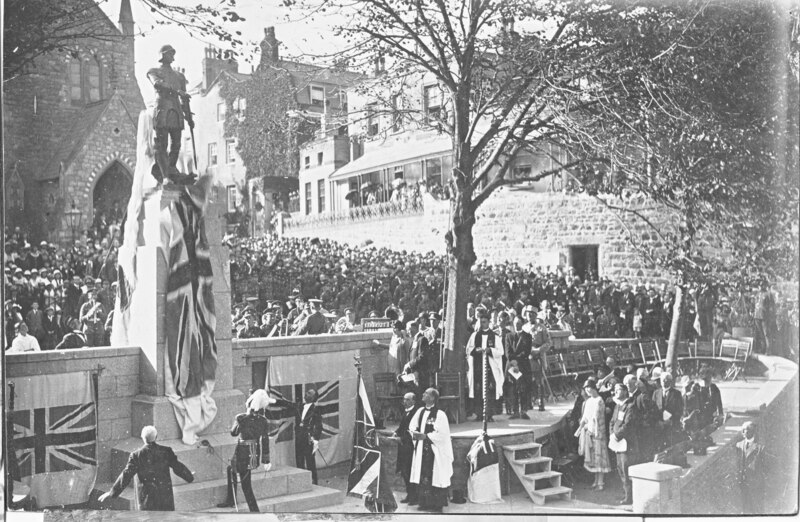 In Market Square a proclamation is read by by H. M. Sheriff with the ceremony presided over by the Lt-Governor, Lt-General Sir Lancelot E. Kiggeil and the Bailiff, E C. Ozanne. 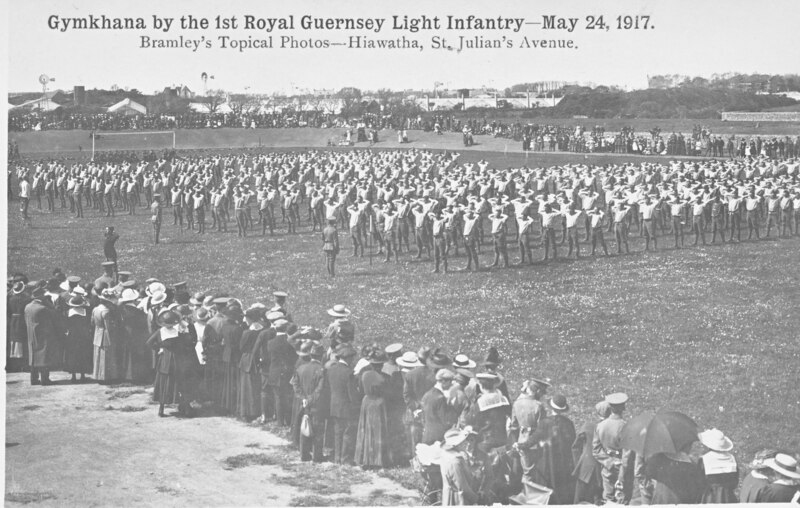 One hundred men from the Royal Guernsey Light Infantry 2nd (Reserve) Battalion, under the command of Captain B.C.Jones form an honour guard, complete with buglers and drummers. 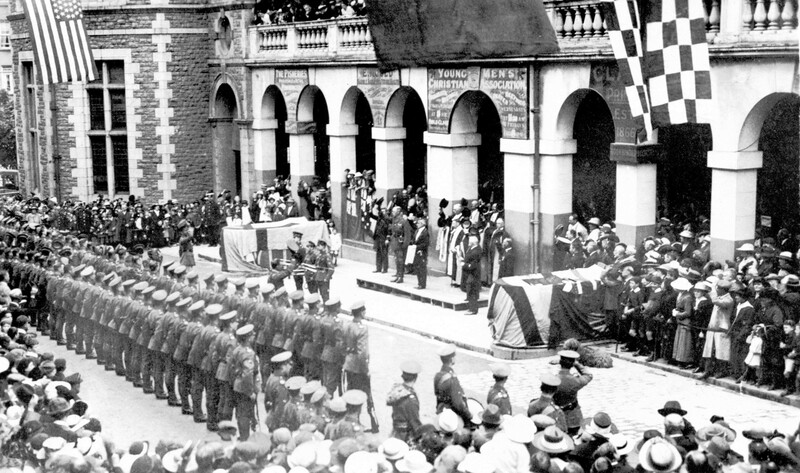 Sunday 19th September 1926, a war memorial is unveiled at the top of St. Peter Port’s Smith Street to honour those who served and died in The Great War by Guernsey’s Lieutenant Governor, Major-General The Honourable Sir Charles Sackville-West, K.B.E., C.B., C.M.G., with the Bailiff, Sir Havilland de Saumarez presiding. Note : For an overview of the other key events in the first World War refer to our article on the World War One Timeline. Many Guernseymen had suffered years of captivity in Germany whilst many more carried home grievous wounds of both body and mind. The R.G.L.I. left behind them 327 graves in France. The war had been won, but at a terrible cost which was felt in every home in the Island. The total number of men who served in the R.G.L.I. 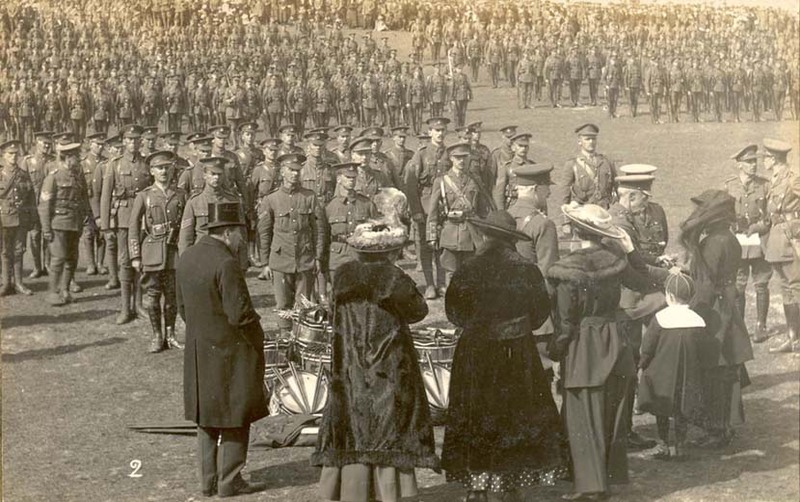 was 3,549 of whom 2,430 were recruited in Guernsey. The remainder were transferred from England. 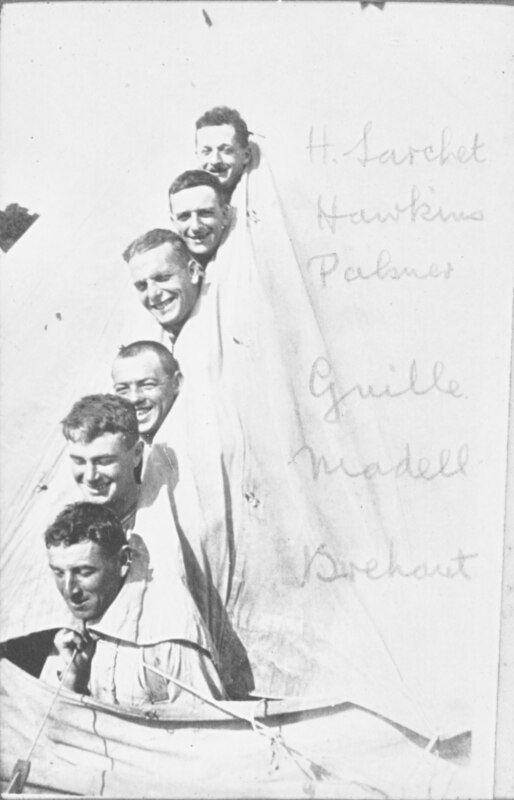 Of the 3,549 men of the R.G.L.I., 2,280 served in France with the 1st (Service) Battalion.